Hundreds of small radio stations across the UK are to receive a helping hand to broadcast in digital for the first time. In new measures announced today, the Government will make it easier for smaller community and commercial radio stations to broadcast on small scale digital radio multiplexes. With more than 50% of all radio listening in the UK now on digital, the new lighter touch licensing regime means these small stations won’t be left behind by the growing shift from FM and AM to digital radio and will give more choice to millions of radio listeners across the UK. “We are breaking down one of the main barriers in the transition of radio from analogue to digital, to secure long-term benefits for the UK’s smaller commercial and community stations and ensure a range of local content for listeners. The roll out of small scale multiplexes across the UK could help more than 450 existing small community or commercial radio stations go digital. Since 2014, Ofcom have been supporting successful trials of small scale radio multiplexes in ten areas of the UK. These trial multiplexes now carry around 160 small radio services offering listeners in these areas a broader range of content and formats. The new framework will allow Ofcom to reserve capacity on new small scale multiplexes for community stations, helping them to go live on the Digital Audio Broadcast (DAB) platform. “We welcome today’s announcement from DCMS supporting the future development and expansion of small-scale DAB. This is good news for radio and good news for listeners as the expansion of small-scale DAB gives listeners a wider range of smaller stations available on DAB and gives small local stations a path to a digital future. Switch Radio is a community radio station that operates and broadcasts one of the trial multiplexes in Birmingham. “Switch Radio welcomes the publication of the DCMS consultation response document. 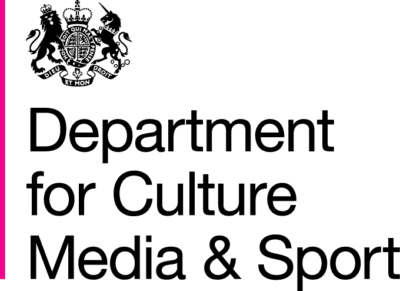 Small Scale DAB is a game-changing innovation that will drive real benefits for listeners and we are delighted that the government is actively supporting the progression of this technology from concept to delivery. This new streamlined structure for licensing small scale radio multiplexes comes at a time when DAB has greatly increased in popularity. Almost two-thirds of households have a DAB radio and only 43% of listening at home is on analogue. DAB coverage now reaches 90% of the UK. The proposals will support the rollout of new digital-only radio networks within county areas, helping to expand the community radio sector. The Government will bring forward secondary legislation to make the necessary changes to the licensing regime in 2019. A small scale DAB radio multiplex is a more efficient way of transmitting compared to analogue and uses a low cost software-based approach that makes it particularly suitable for smaller radio stations. A multiplex consists of a number of DAB radio stations bundled together to be transmitted digitally on a single frequency to a specific geographic area. - Place requirements on new small scale multiplex licences to make a certain proportion of capacity on small scale DAB multiplexes available to community radio stations holding new C-DSP licences. DCMS-funded technical work by Ofcom to test the technology, including 10 field trials in Portsmouth, Aldershot, Brighton & Hove, Bristol , Norfolk, Manchester, Birmingham, Cambridge, Glasgow and London. These demonstrated the viability of using an open source software based approach to broadcasting on DAB at a small scale. However, the temporary licensing arrangements for the 10 trials are not a suitable basis for the long-term licensing of small scale DAB radio multiplexes. To address this DCMS supported the successful passage of a Private Member’s Bill, introduced by Kevin Foster MP, through Parliament in early 2017. The Broadcasting (Radio Multiplex Services) Act 2017 gives the DCMS Secretary of State a power to modify through secondary legislation the provisions under existing broadcasting legislation that are concerned with the award of radio multiplex licences. Digital radio has enabled many more commercial stations to broadcast nationally, and the share of listening to national commercial stations has increased from 13.0% in Q1 2016 to 17.5% in Q1 2018. As a result of this, radio advertising revenues increased by 1% in real terms in 2017, compared to a 7.5% decline in television advertising revenues. Across the UK, listeners in Berkshire have the highest proportion of listening digitally, at 60%.